Besides, like, just being Spain. 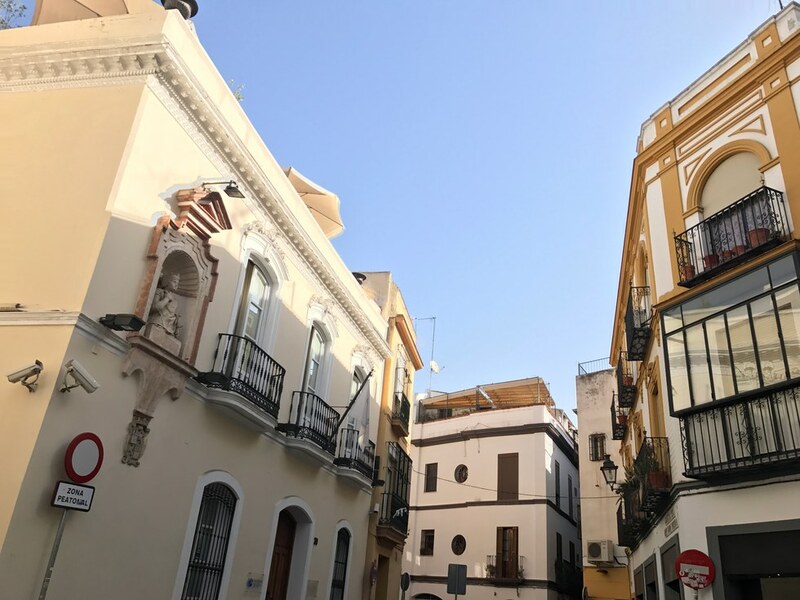 As you may have guessed from other articles, I went to Spain with a group of people from my school this summer and lived there for two and a half weeks, staying for a weekend each in Barcelona and Cadiz but living the rest of the time with a host abuela in Seville. While we were there, living like locals, we noticed many differences between Spain and the United States, and some of them just... made more sense there. 1. Recycling is serious business. Europe in general recycles more than America, but it's more than just recycling old milk jugs. On each corner, more commonplace than trash cans, actually, are four or five large recycling containers, one for each type of recyclable. And yes, people really do "bother to sort them all"; multiple days, we saw older women with three bags, one with cardboard, one foam and one plastic, come down to the recycle bins and put their goods into it. 2. Municipal bike stands exist. And people bike EVERYWHERE. All you need is your pass, which you buy for a time duration. 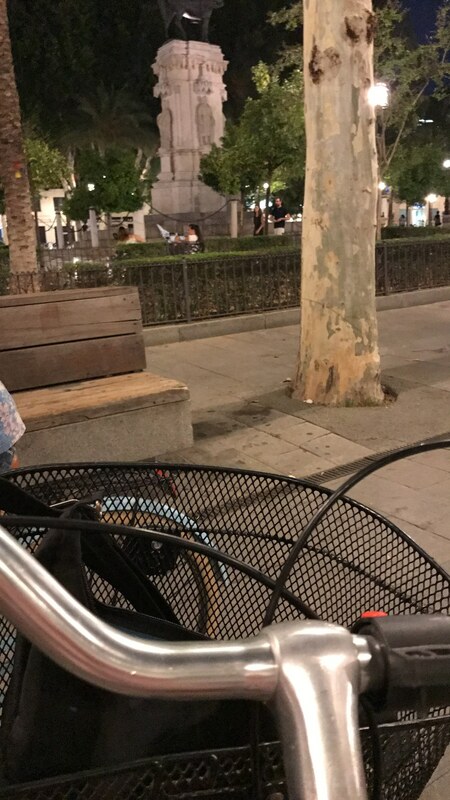 Then you go get a bike from a nearby stand, and, as long as you continue to check your bikes into other easily-accessible municipal bike stands around the cities, you have a bike to ride. Maybe this is one hint as to why the Spanish are so much more active and rely so much less on their cars? 3. Tax is included in price tags. This is such a big deal!!! Instead of doing the American thing where you go, "Well, yeah so it's $10, but I have to factor in $.70 for tax so with this $10 bill I can't get that shirt", which is confusing because like, the price says $10, tags in Spain have tax included. If you have a €10 bill, you can buy something costing €10. It's great to have so much LESS change in your pockets. 4. Tipping is not expected or essential. Service industry employees actually make a livable wage in Spain, so tipping is not expected. Although it is a nice way to say thank you for a job well done, it is not expected to be 20% or anything like employees in the U.S. need in order to make a solid salary. In fact, rounding €1.75 to €2 is a fine tip. Again, money planning here is SO much easier. 5. Pharmacies only sell medication. It really was shocking to go into a pharmacy and see, like... just medication. Some soap was there as well, but no aisles of makeup or food. And, unironically enough, pharmacies there don't sell tobacco like their American counterparts do. Our teachers were really surprised that this was an interesting concept to us. 6. Drinks are included in meal prices. €4 gets you a sandwich, a small OJ and a small coffee. None of this ordering separately (especially since each paying for each separately would be a lot more than €4), just get a meal and pick your drink. Small downside - you can't get tap water, so you're gonna pay for water, but hey... it's still included. 7. Public services are a lot more efficient. No mail trucks block traffic, fire trucks are reasonable and there are no private trash bins, so large garbage trucks go to pick up from cornerside recycle bins instead of trying to get down every street. These are all faster, easier and cheaper, even if it does require OH SO MUCH MORE EFFORT to walk to a recycle/trash can instead of just opening your door to your garage. 8. Pop-up convenience stores are on every corner. They're like legit newstands, and they're everything your local QT would have - candy and snacks (including drinks), newspapers, postcards/souvenirs, and small useful trinkets like keychains and pocketknifes. These stands are great - and the people are usually good to ask for directions. 9. Misters are on every awning, and every restaurant has an awning. Restaurant awnings have misters that go off every so often, both to aid their customers and the passerby. Also, almost all restaurants feature patio or sidewalk collection of tables so that their customers can enjoy the atmosphere and the beautiful weather. So, lots of misters. 10. 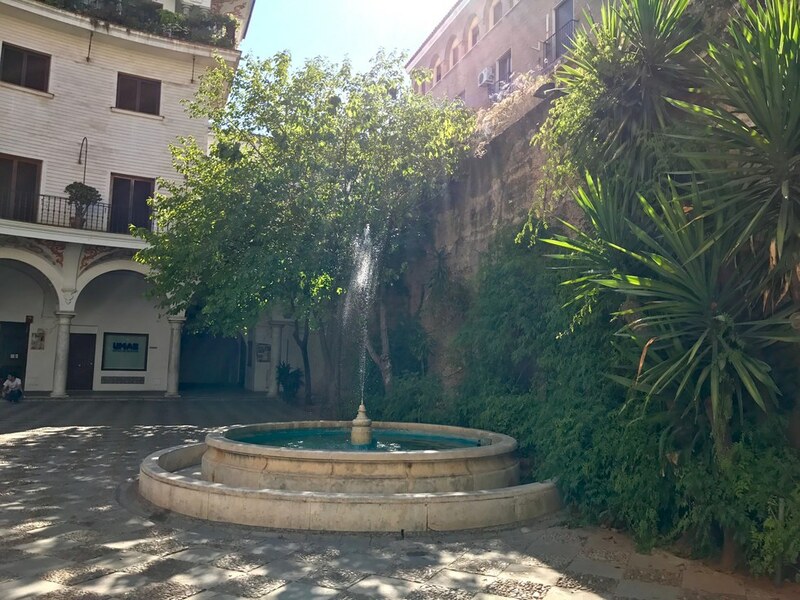 Inner courtyards mean no lawn mowing. Seriously. Our abuela was growing plants in the atrium of her apartment building, but a lot of places have full courtyards with trees and some grass. Space is limited, though, so no lawnwork needed. 11. Taxis are free for the elderly, especially in times of extreme weather. Taxis are pretty reasonably priced on a good day, but, especially in the depths of summer and winter where extreme temperatures are probable (it was 112 one day in Seville.. eek), taxis are free for elderly citizens! I'm not sure the cut-off age, but this is such a good idea, especially since Europeans in general walk everywhere. Our host abuela could still go every day to the markets and buy fresh bread and fruits without having to walk two miles in 100+ degree weather. 12. Nap hour is a godsend. Siesta hour is real - a lot of places shut down in mid afternoon (around 2pm) for an hour or two to take a post-nap lunch. Given how good Spanish food is, we loved this siesta hour. Food comas are also real. 13. Restaurants have at least one copy of their menu in other languages. 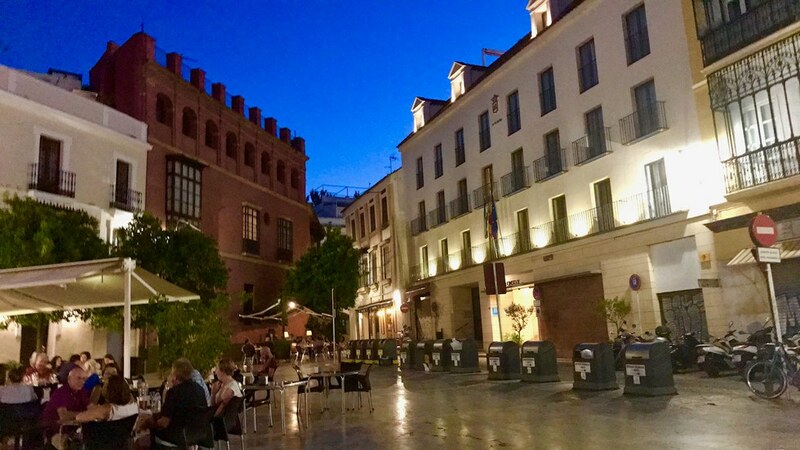 Not just English - all other European languages, regional dialects like Catalan and other widely-spoken languages like Chinese were usually represented with their own copy of a menu at almost all sit-down restaurants that we visited. I have no idea how ordering would go, though - maybe pointing..? 14. Architecture is just, so pleasing. Every building was unique, both in outward design and color, and even the modern buildings were like this as well. No subdivisions or HOAs here to enforce conformity! Each street has character and each place has a personality - can we please adopt this everywhere, America?? Sugar = real cane sugar. Fast food? Nowhere to be seen. Even Spanish dessert is typically a piece of fruit (like a paraguayo, a flatter version of a peach that really doesn't taste like a peach) or a small, 6-8oz. latte. The markets were almost scary, since the meat like... still included the eyeballs. 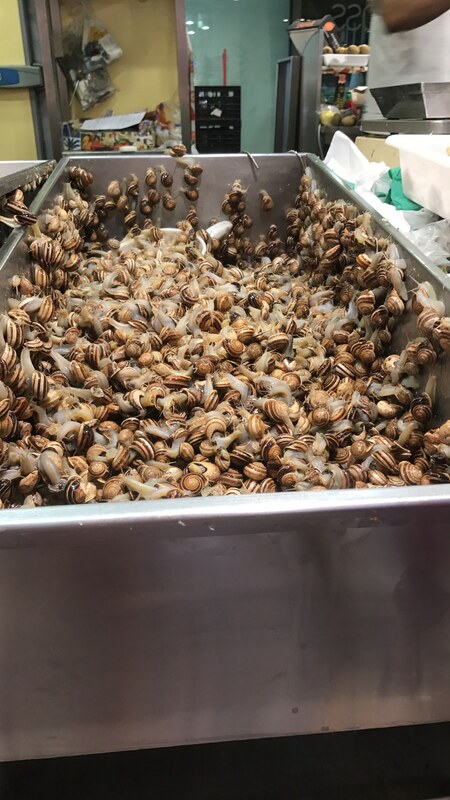 And the snails were still crawling and alive. But hey, everything was fresh. 17. The street clean-up crews are wildly efficient. The cities are gorgeous. And when something breaks or gets messed up, it'll probably be fixed within a week. 18. Graffiti is everywhere, but it looks amazing. After stores close, these metal sheets roll down and cover the entrance, and almost every metal sheet is graffitied. 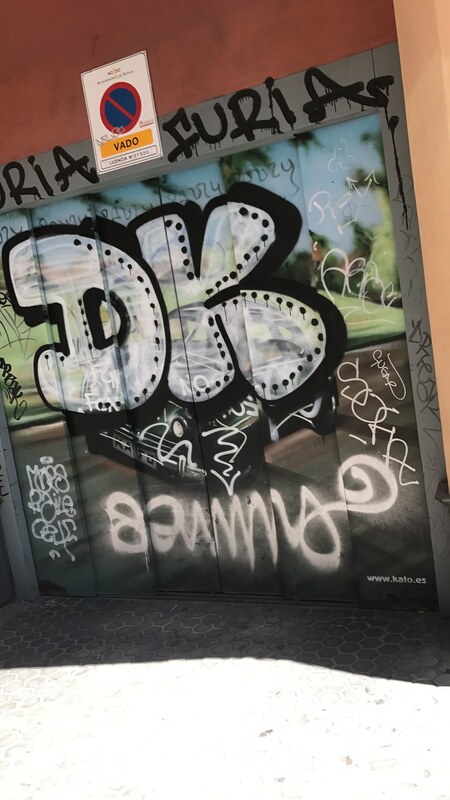 Since it goes away during the business day, this vandalism isn't harmful, but it makes the streets beautiful in an artistic way even after everything is closed. 19. You can just, like... talk to everyone. Directions? Need a lesson in history for your class? People do not ignore you like they do in America when you approach them. 20. It's really easy to tell what a store is selling. Stores in Spain tend to sell one thing; as mentioned above, pharmacies sell medicine, tobacco stands sell tobacco, supermarkets sell food and household supplies, etc. Also, if you know Spanish, the ending of a store tends to be -eria, and if you understand what the stem before the ending was, you'll know exactly what they're selling. For example, a panaderia sells bread, which is "pan" in Spanish. 21. Fresh juice = an entire meal, for half the cost. Juice, or zumos, come in a wide variety and definitely serve as an entire meal, although you don't pay the premium for freshness that we do in America ($7 at Whole Foods for a juice? $10 at I Love Juice Bar? miss me with that). I had a drink of avocado + coconut milk in La Boqueria in Barcelona for €2, and that was my lunch. It was the best thing I've ever had. 22. We can just walk there. I think we walked ten miles a day. No joke, I just checked my pedometer. 23. Not everything closes at 7pm. Spanish dinners are usually around 8-9pm, later than in America, so everything is open later. Shops close earlier, but restaurants stay open, as well as dessert places/cafes, stalls that are put into public squares, and parks. It was weird to be able to walk in and sit in the park near our house for an hour at 10:45, but... one can. Spanish dinner style tends to be mobile - tapas are small plates of food that one gets to share with their friends (since everyone gets a small plate). After you're done at one restaurant, you go to another. Tapas bars are amazing, and so is the food and the concept. 26. Like, being in Spain. Obviously I'm biased, since Spain was just such a unique experience to me, but... maybe America should just go be in Spain.